Rgarding my title (and ignoring the “nettle”/”thorny” pun), of course this little room at the Guilford Free Library isn’t a museum. 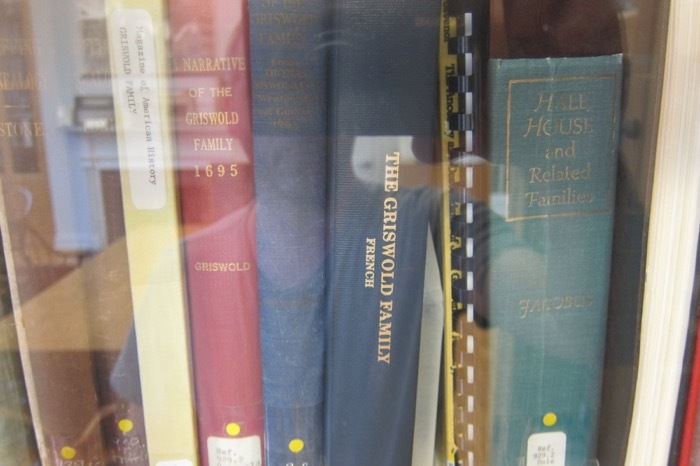 But I started making note of “local history rooms” at town libraries years ago and after popping into a slew of them, I’ve come to realize that about half of them are “museumy enough” for me to include on CTMQ. 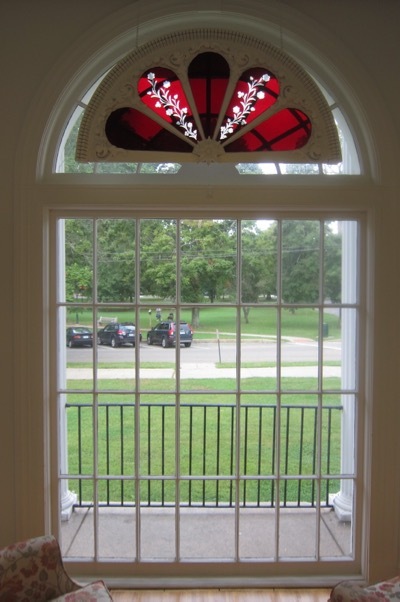 The Guilford Free Library is situated at the northeast corner of the Guilford Green. It’s a nice library. I hadn’t planned on visiting it on the day I did, but a last-minute canceling of a trip out into the Sound to a lighthouse for what I’ll call “nonsense reasons” left me in Guilford with lots of Guilford time. 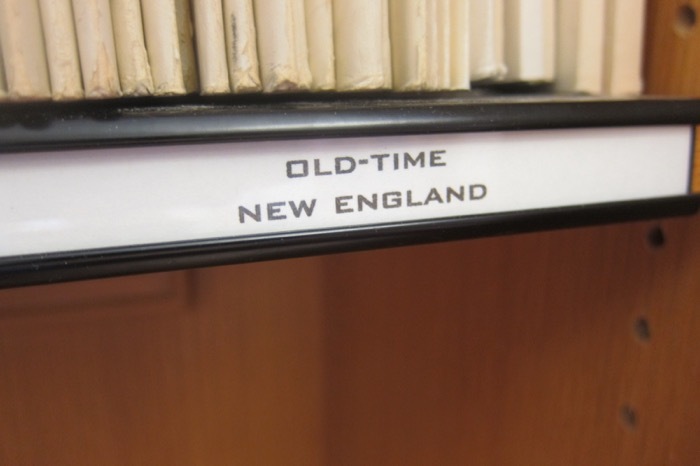 Time to check out the local history room at the library then. Seems normal. 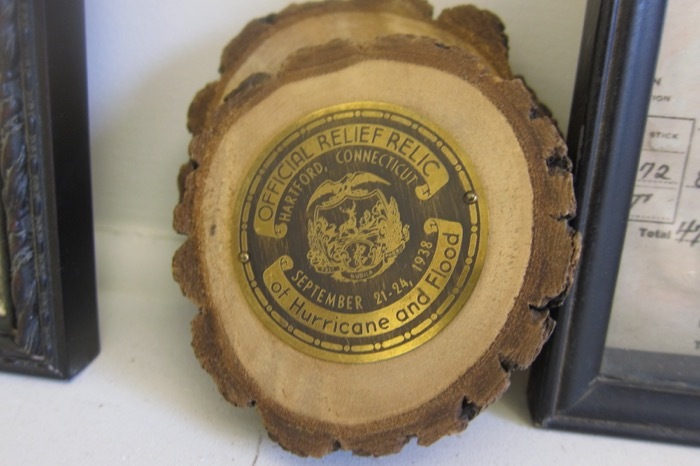 The Edith B. Nettleton Room is an actual room as opposed to many other local history rooms at town libraries – which are often just walls. It’s fairly large as well. 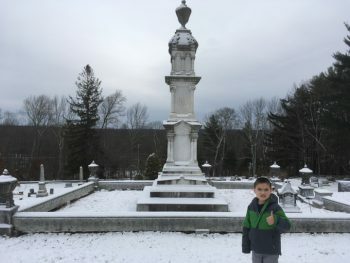 And since it’s named for Edith B. Nettleton, we should know at least a little bit about her. She was pretty darn great and I’m glad I’ve gotten to “know” her by visiting her room and reading all about her. 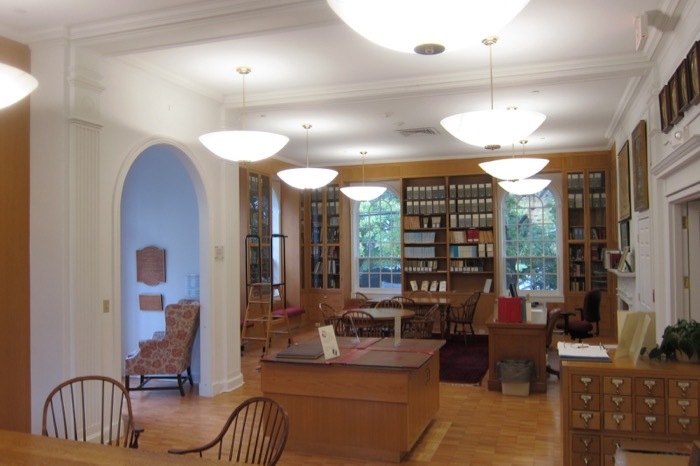 The history room contains all the stuff you’d expect: materials documenting Guilford’s history including books, diaries, letters, maps, photographs, postcards, scrapbooks, high school yearbooks, and early tax lists. All very exciting stuff! What sets this room apart from rooms that don’t make the CTMQ cut is the large collection of artwork. Very nice artwork from acclaimed artists, not just the local watercolor group of retirees like we see in most libraries. 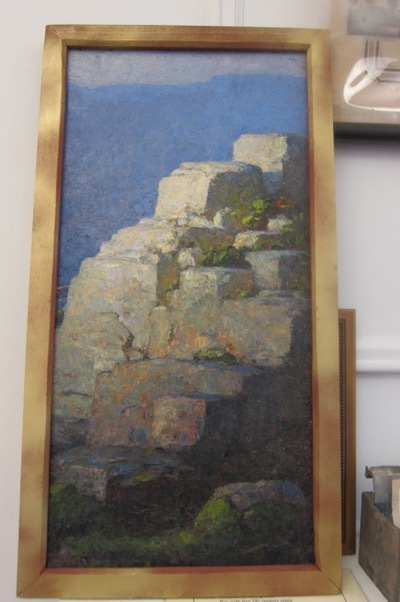 Painting of the Metacomet Ridge by Charles D.
There are also some items of local interest relating to the 1938 hurricane and flood. I’m not a meteorologist so I don’t really know what this thing means, but I know that it was bad. Like, really bad. 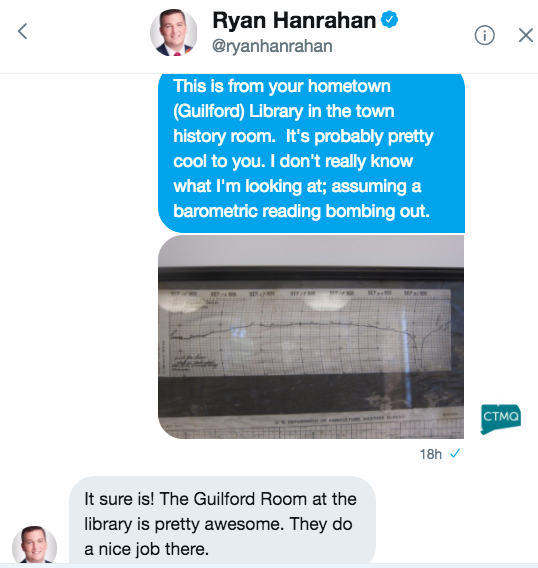 I am friends with NBC 30’s Chief Meteorologist Ryan Hanrahan, so I could ask him. And it’s not like that would be totally weird… he’s a Guilford boy after all. 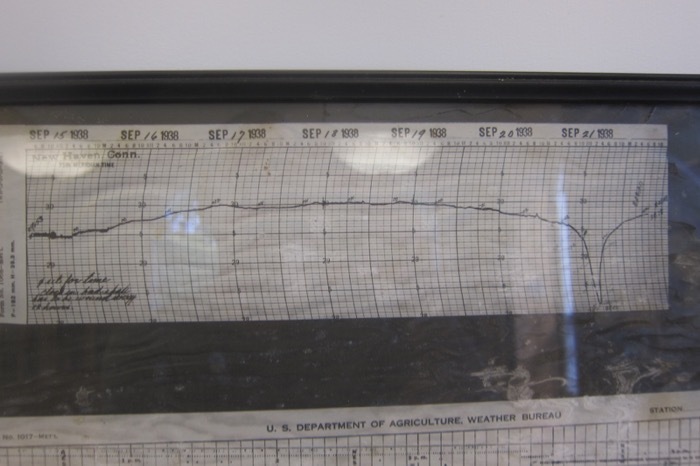 I’m assuming it’s a barometric pressure reading and on September 21st, 1938 it bombed out rather remarkably. There are also some tree crosscuts supposedly showing something from that day, but I don’t know what I’m looking at with them. you guessed! Edith B. Nettleton! 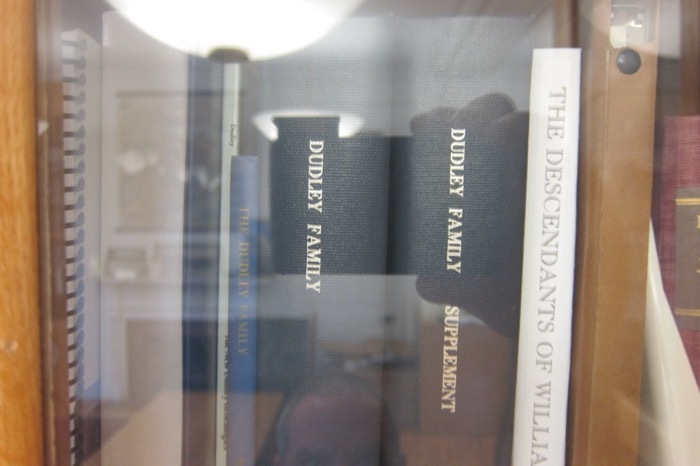 I liked how the three historic family names from Guilford are represented with tomes: The Whitneys, Dudleys, and Griswolds. Each has a Guilford museum bearing their name. 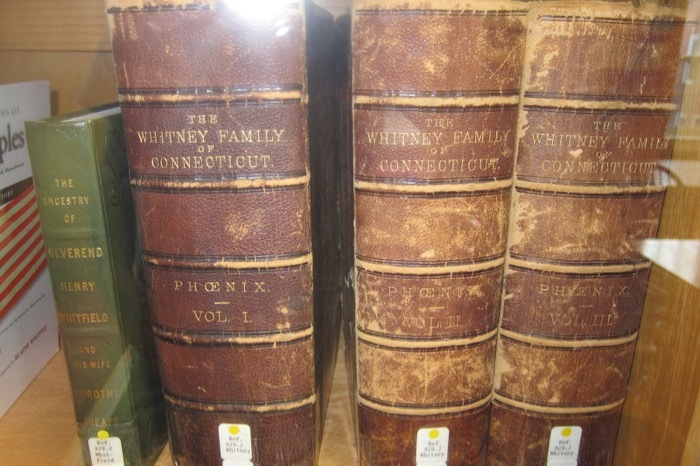 And I’m quite proud of the fact that I knew that when I visited and thought to take pictures of those books. Perhaps when I die and people mention my accomplishments, that will be one – even if I wasn’t exactly right. 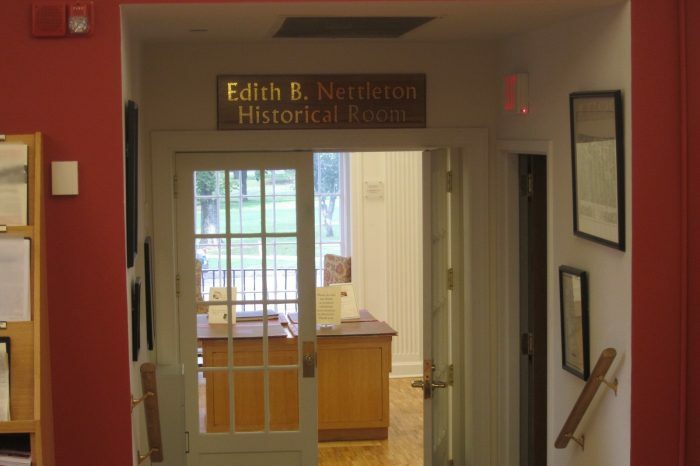 Sure, Edith B. Nettleton basically built up Guilford’s library system and spent decades making the town smarter and she justifiably gets a room named in her memory. But I almost remembered three museum names in Guilford once.